Murder makes monsters of people. Prosper Snow knows that better than most. Now he’s back on the trail of another serial killer, only this time there’s far more to the case than meets the eye. Thwarted at every turn, Prosper unwittingly uncovers a human experiment more monstrous than anything he could ever imagine. Now the only way to crack the case is to work from the inside and join a shadowy government agency that operates outside the law. Only he might be too late as the experiment has spiralled out of control. This is not the first time I have reviewed books by Shaun Jeffrey. I have reviewed Dead Man's Eye and The Kult. Any ways this is the second book in A Prosper Snow series and just like The Kult I was hooked for the very beginning and I couldn't put it down . This book is very well written and has a lot of action. 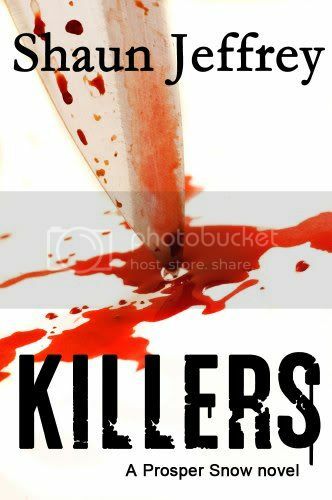 .If you are into gory and terrifying thrillers then this is the book for you. If you want to purchase this book or any other books by Shaun Jeffrey you can do so at amazon.com. I'm A Toshiba Holiday Heroes Brand Ambassador!